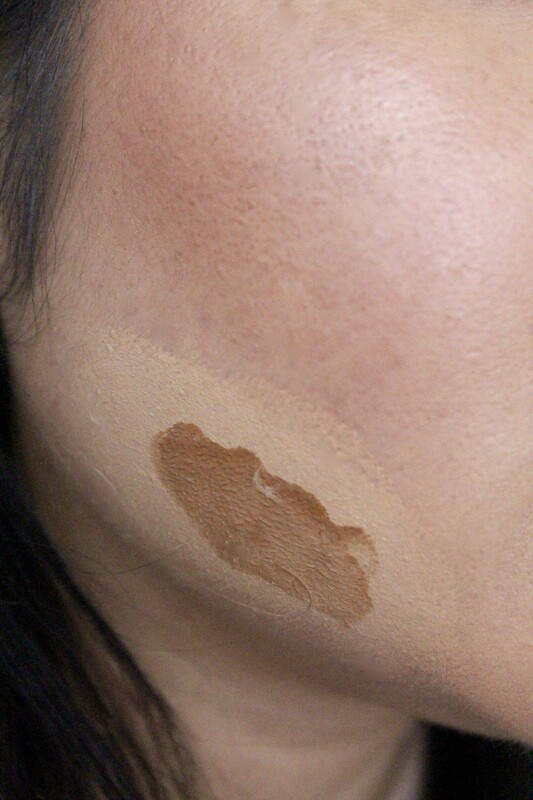 Finding the perfect shade of foundation can be a tough and daunting task. The important task of getting the undertone perfect is a big thing on its own, let alone thinking about how to match it correctly to the neck, how it will be to apply and the longevity of it. Then there’s also the fluctuating skin tone that happens all throughout the year especially if you travel a lot, catch a bit of sun and voila, you need a brand new foundation until your tan fades. I get through several bottles, tubes, tubs, sticks of foundation yearly – not all at once, but foundation does come in all different shapes and sizes these days and you never know how much of it you will use. As much as I think I know how to find the perfect shade for me, I always enlist the help of a store assistant or read online reviews before actually taking the plunge. 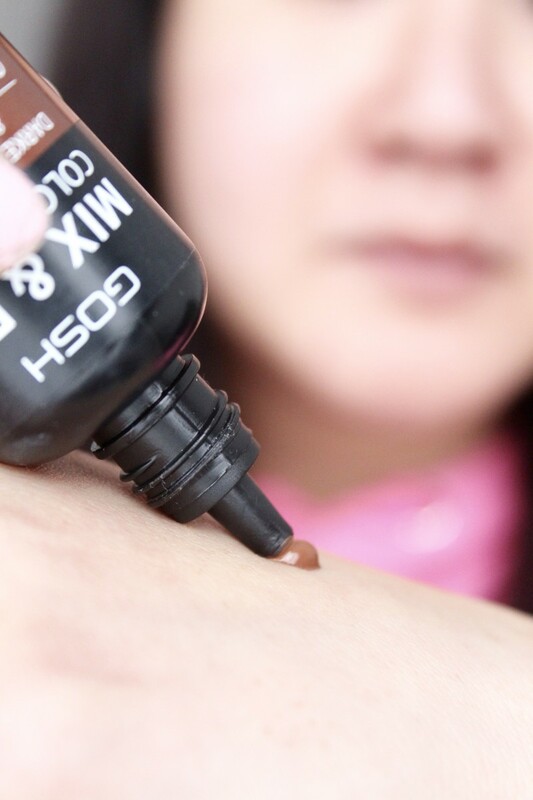 That’s until I came across a blog post online about ‘shade adjusting drops’ that I thought ‘hallelujah’, finally there’s a product that can help change the colour of my foundation without me having to physically change the whole foundation itself. 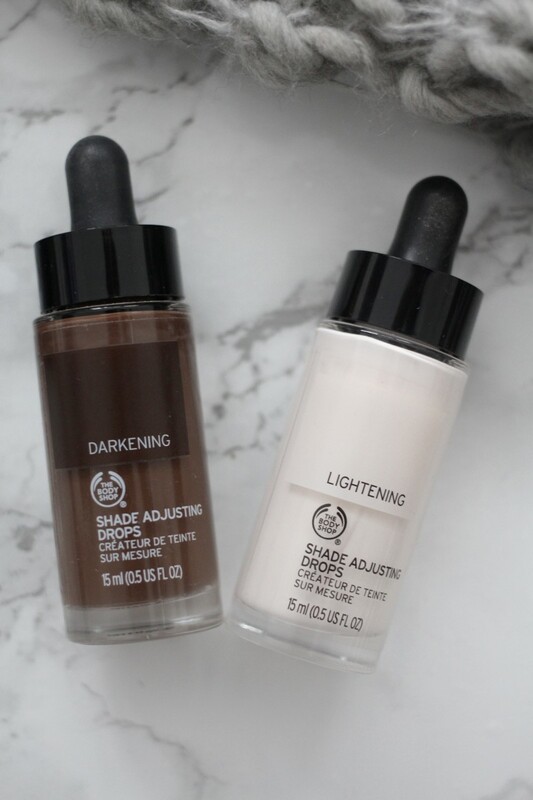 Said product was The Body Shop’s Shade Adjusting Drops – I then went on to try a couple more similar products, which were all fabulous and I have explained why and how they work with foundation below. Read on to find out my thoughts….. I have to admit, I did struggle a teeny bit with this one at first – I just couldn’t get the mix right and ended up either looking like I rolled in mud or like Casper, the friendly ghost. However, it didn’t take me too long to get the gist of it and now I absolutely love this stuff. A single drop will make foundation ½ a shade darker or lighter, so if you’re only adjusting it slightly, I suggest only using, half a drop. I also find that pre-mixing it together gives a better colour base than dotting it on a brush and blending whilst it’s on the skin. 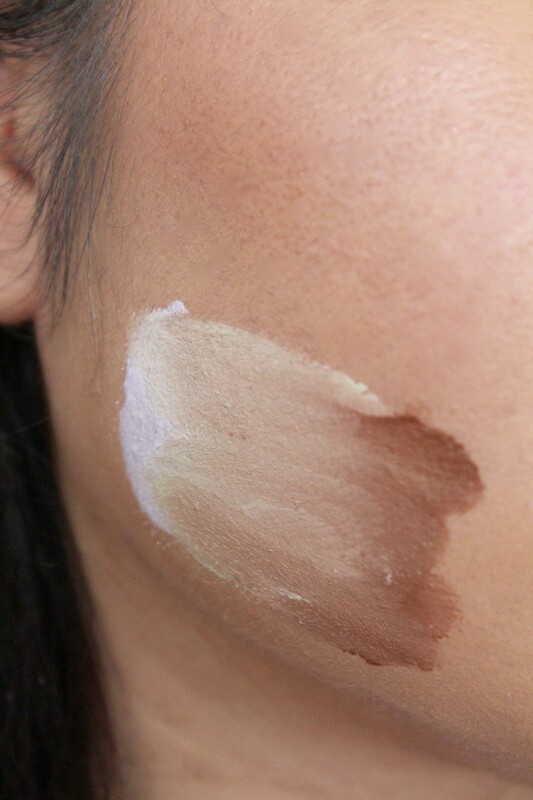 The texture is quite thick, so it definitely works well for coverage. It also works best with liquid foundations – I did attempt to blend it with a mousse base foundation and that didn’t go down very well. The lighter shade neutralises pink tones, adding warmth to the skin, whilst the darker shade contains red pigment adding depth. These are great for subtly changing the colour of foundation to match changing skin tones throughout the year and they do last as a little does go a long way. 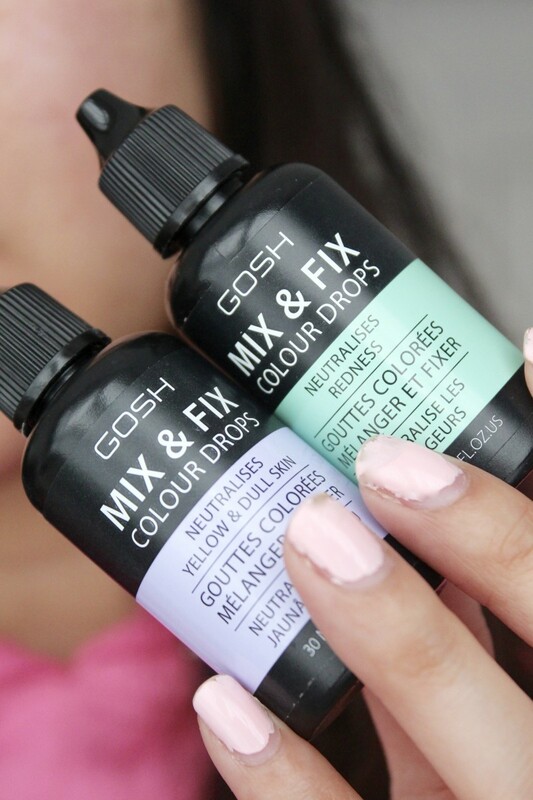 Brand new to the game, these Mix’n’Fix Drops from GOSH are the next big thing, I’m telling you now. 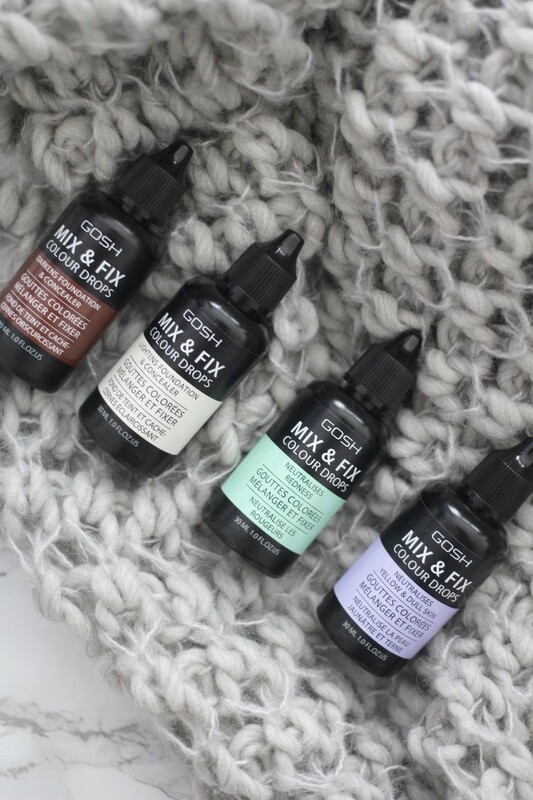 Offering a whopping 5 colour shades, these drops can transform any liquid foundation to match perfectly to skin tones as well as provide skincare benefits. 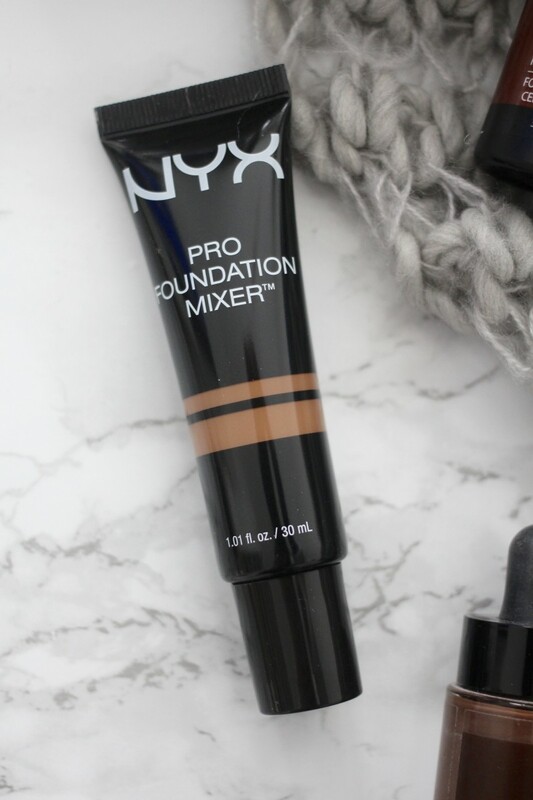 Each bottle comes with a dropper mechanism which allows complete control over how much is being mixed in to the foundation which in my opinion is great because not only is it more hygienic, it’s also easier to use. In regards to the shades, you may have notice the classic light and dark ones, but also a green and purple one. 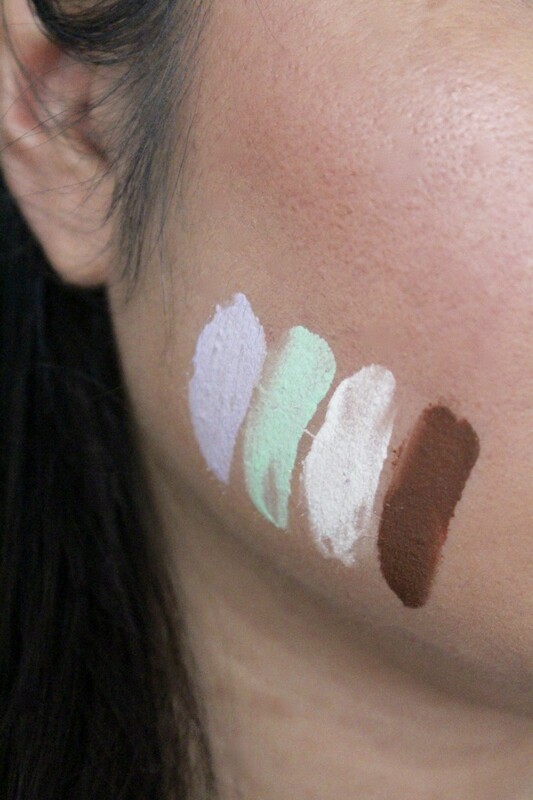 If you haven’t had experience with colour correcting products before, green actually neutralises redness and purple neutralises yellow tones as well as brightens dull skin. 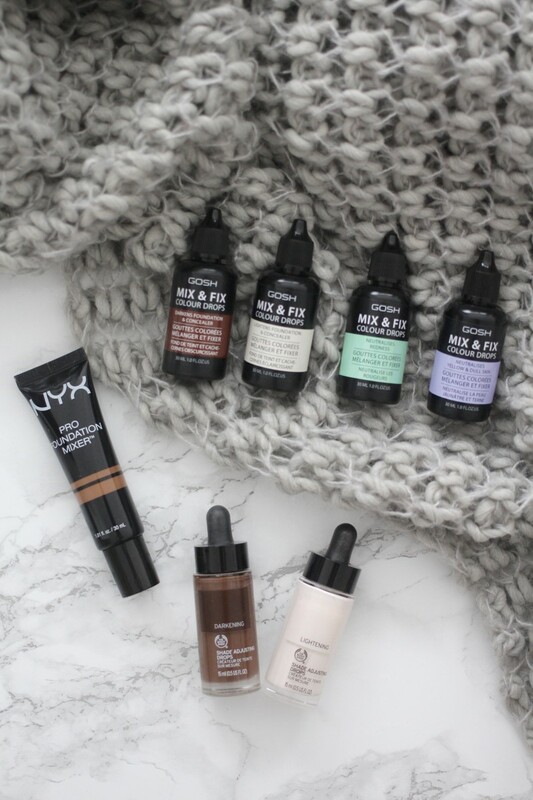 I would highly recommend trying these out if a) you want to create a bespoke foundation shade to suit your skin tone (I mean, who wouldn’t want to) and b) would like the added skincare benefits to their foundation, I think we have a win-win situation here. Always saving the best until last – this one really was a ground breaker for me. I have the shade, Olive and it’s pretty much amazing in every way. The colour is a good few shades darker than my foundation, but when mixed together it matches me perfectly when I have tanned skin. The consistency of the liquid is smooth and blends in well, it creates a dewy effect when mixed which I love. Similar to GOSH, the colour range consists of 6 shades, 2 of which are illuminators which provides more of glow to the skin, rather than tone changing. 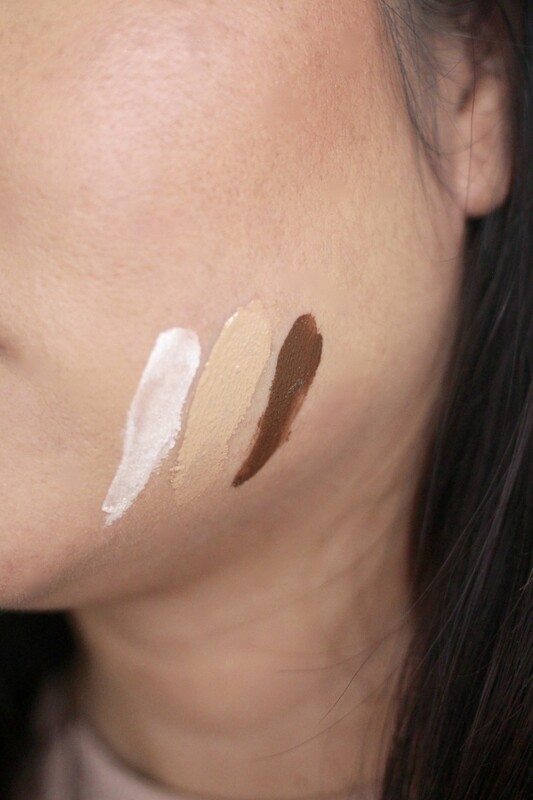 The other 4 are lightening and darkening shades and can be used in conjunction with each other and all liquid foundations. 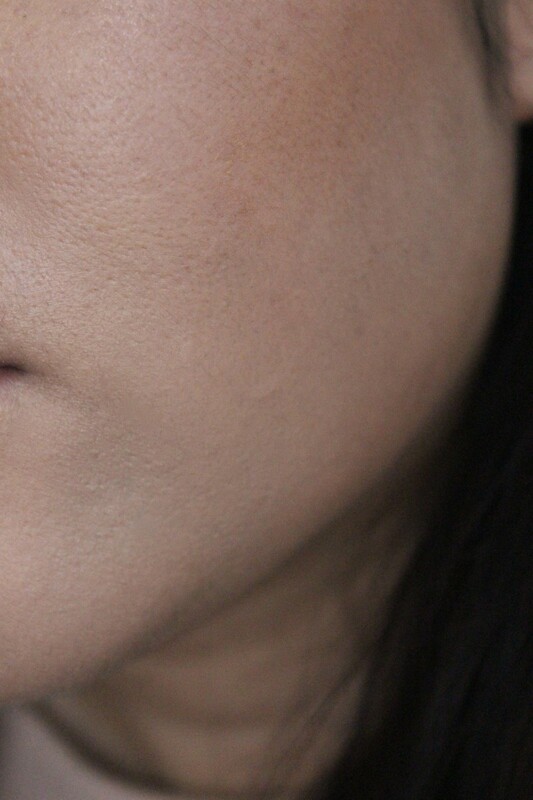 Olive provides only a subtle change to my foundation which is all I need during the summer, I would say it definitely matches those with more of a yellow under-tone to their skin. At only £8 a tube, it’s a great bargain, a great product and it lasts me ages. 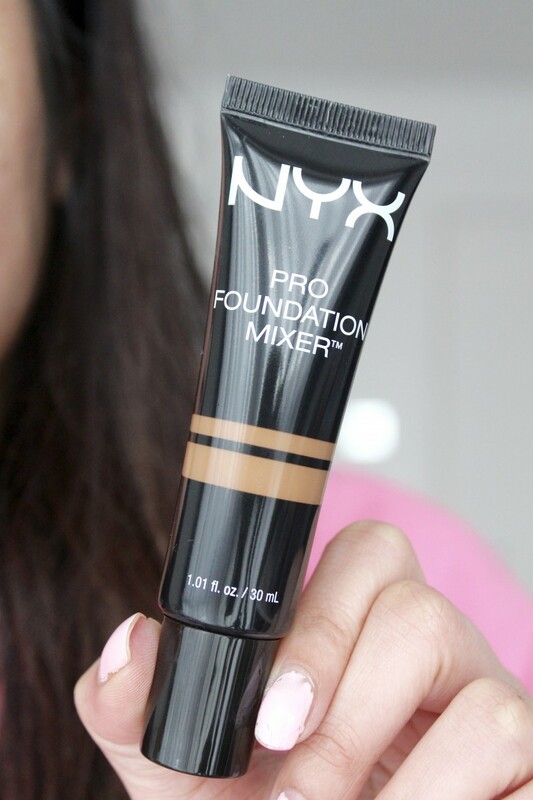 Do you use colour changing foundation mixers? If yes, which one is your favourite and what are your thoughts on them? 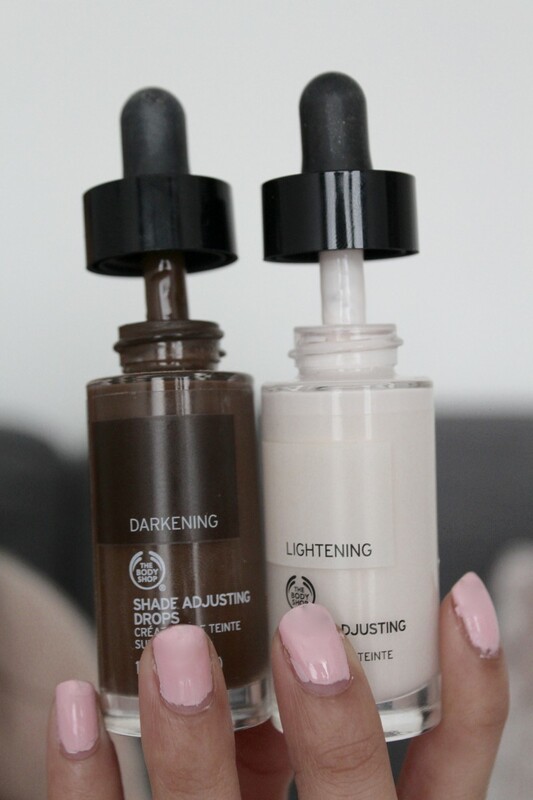 Great post – I have trouble finding suitable foundation as the lightest tones are usually still quite orangey as I’m very pale so I’m going to try the body shop lightener and see how that turns out! Didn’t even think about this! Thank you!